More and more, we are becoming a visual society. Social media posts that contain visuals outperform text-only posts, and visual aids make presentations much more effective—43% more in persuading audiences to take a course of action the presenter desires. 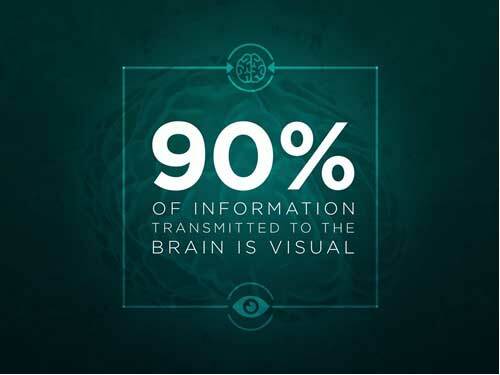 So harness this power of images in your social media strategy by using presentations you've already created. Chances are, you'll be able to pull a few standalone slides from any presentation you've delivered. A good example would be an inspiring quote from your CEO that you used to open up that quarterly earning report, or a chart that shows how much positive feedback you've been getting on social media, and so on. Scott Schwertly is the author of How to Be a Presentation God and the CEO of Ethos3, a Nashville, TN-based presentation boutique providing professional presentation design and training for clients, ranging from Fortune 500 companies to Guy Kawasaki.